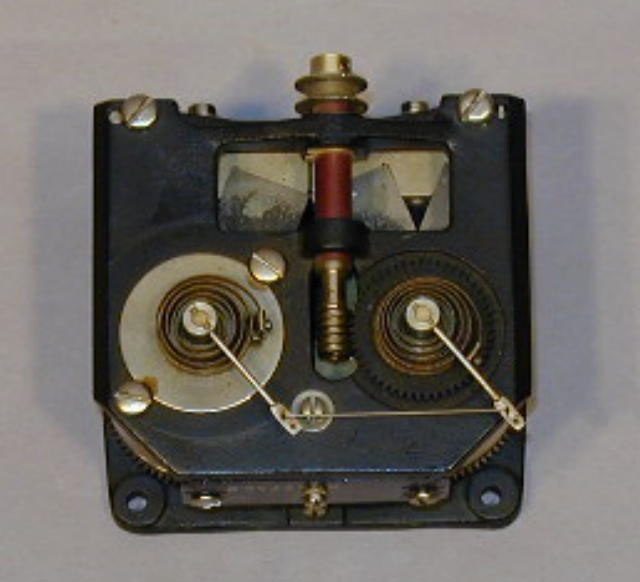 This is an early movement designed and built by TI in what was the Laboratory and Manufacturing Division of GSI as part of the ASQ-8 airborne magnetic detection system. 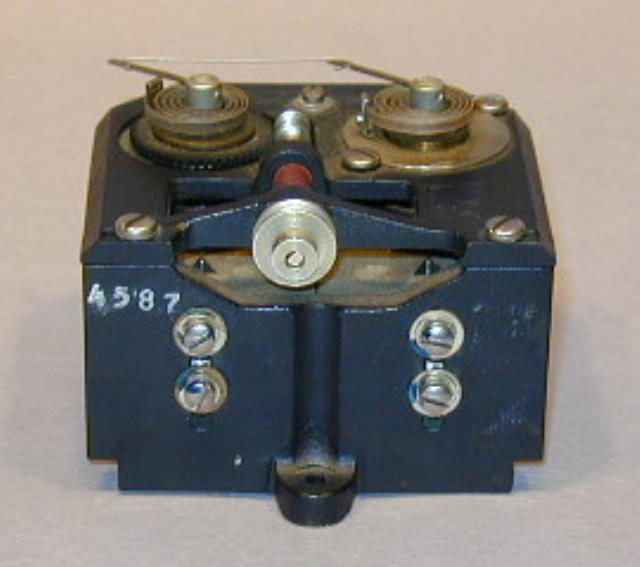 This meter movement was the result of a TI proposal to the Navy Bureau of Aeronautics to supply a light weight two-place recording millimeter for use primarily with MAD equipment to replace two Esterline-Agnus recorders then being used. Work began in 1948, and the first working model of the RD-47 was finished in the spring of 1950, and production began in the fall of 1951. 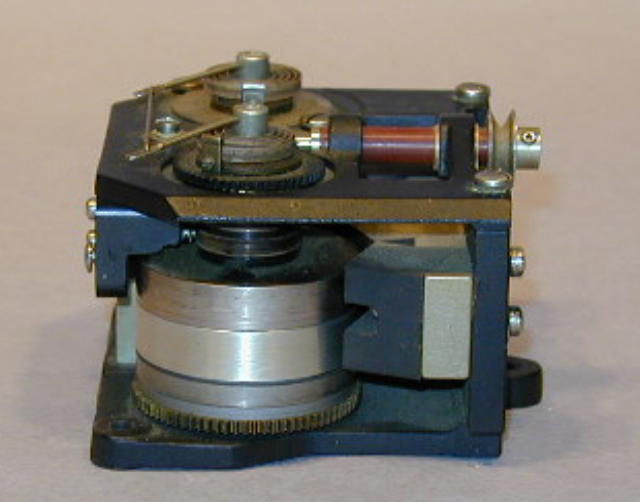 The meter movement uses two magnetic fluid clutches in a push-pull arrangement. 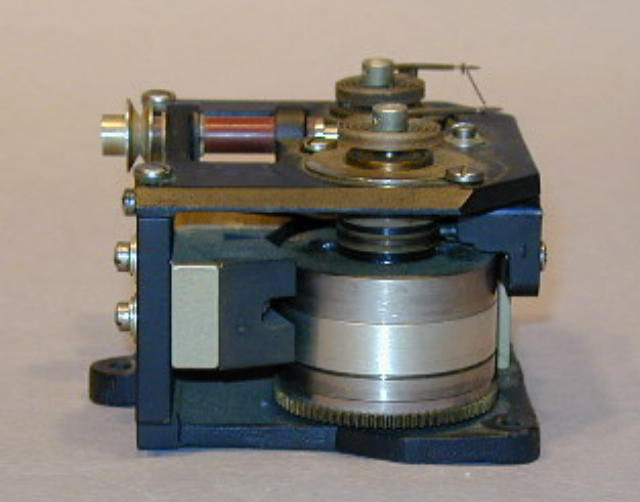 Gordon Perry, based on recently published National Bureau of Standards literature conceived the idea of using a magnetic fluid clutch as a meter movement. 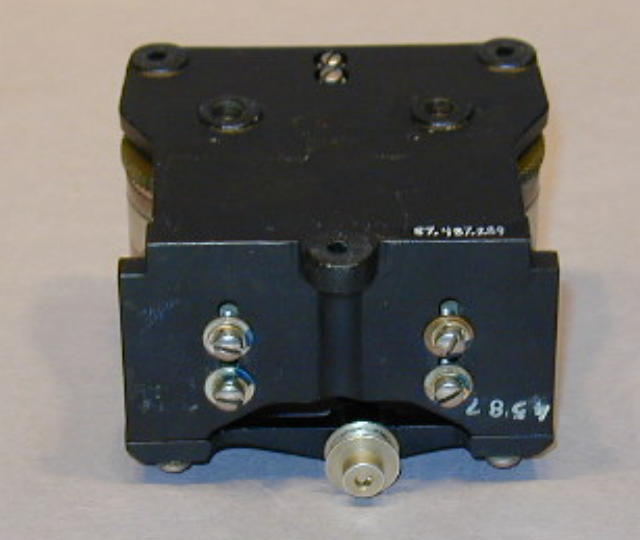 Bo Olson added the idea of using two clutches in a push-pull version. The original patent was issued to Olson and Perry. Later patents covered design improvements. TI built 200 RD-47's. With the Korean War demand, TI contracted with Dalmo Victor for production design refinements and production of the RD 47. During that period, TI made design refinements which resulted in the RD47A, all of which were produced by TI. For additional details, see September, 1953, issue of "texins" in Artifact Historical Files. Related material in collection: C00182.